SIGCOMM continues to be a vibrant organization serving the broad community of people interested in all aspects of computer networking. We continue to run a stable of successful, high-impact conferences, several of these being in co-operation with other SIGs. There are a number of highlights to report from the past year. Our flagship conference, after being held in Europe and India in the past two years, moved back to North America and was held in Toronto in August 2011. The conference was very successful with high attendance numbers, strong fundraising, and an overall surplus that helped the SIG finance its other activities. One of the major efforts of the SIG for several years has been to increase the involvement of members of the community from outside the U.S. and Europe. This year, we continued recent programs to support funding for regional conferences in the networking field as well as adding additional funds to the geodiversity travel grant program. The latter program enables graduate students and young faculty from under-represented regions to attend our flagship conference. The current set of regional conferences we support financially includes COMSNETS, a major networking conference in India, the Latin American Networking Conference (LANC) and the Asian Internet Engineering Conference (AINTEC). We continue to foster the success of these conferences by means such as invited speaker travel funds and student travel grants. In addition to supporting regional conferences, the SIG has capitalized on its strong financial position to continue general student travel support to both SIGCOMM and CoNEXT conferences. The SIGCOMM newsletter, Computer Communications Review, continues to thrive as a journal with high quality and timely articles under S. Keshav's editorial guidance. Acceptance rates for the newsletter are around 20%, on par with top-tier conferences. CCR turnaround time is rapid compared to most journals: for technical papers it is 8 weeks for review and 16 weeks for publication; for editorials it is 1-3 days for review and 6 weeks for publication. We continue to offer both online and print access to the newsletter. This year, we started offering a discounted, online-only SIG membership that does not include a print copy of the journal. SIG members who still desire a print membership can continue to receive a print copy (at a slightly higher membership rate). As S. Keshav’s term as CCR editor-in-chief is ending, we have recruited Dina Papagiannaki to take over starting September 2012. With respect to awards, SIGCOMM has recognized Nick McKeown with the SIGCOMM award for lifetime achievement; he will receive the award and present a keynote talk at the annual SIGCOMM conference in August 2012 in Helsinki. SIGCOMM also has recognized "Multi-Resource Fair Queueing for Packet Processing" by Ali Ghodsi, Vyas Sekar, Matei Zaharia and Ion Stoica as the best paper and "Picasso: Flexible RF and Spectrum Slicing" by Steven Hong, Jeff Mehlman and Sachin Katti as the best student paper in that conference. The "Test of Time" award will also be given at the conference for the best papers with long-lasting impact from 10-12 years ago. This paper is from SIGCOMM 2002: "Tussle in cyberspace: defining tomorrow's internet", by David Clark, Karen Sollins, John Wroclawski and Bob Braden. SIGCOMM has recognized Sylvia Ratnasamy with its Rising Star award; she was given the award at the CoNEXT conference held in December 2011 in Tokyo. This year, we also instituted a new doctoral dissertation award, to recognize the best Ph.D. thesis in the computer networking field in a given year. The first doctoral dissertation award will be given to Minlan Yu at the SIGCOMM conference in August 2012. During the year, six SIGCOMM members were recognized as ACM Fellows: Ramesh Govindan, Peter B. Key, Keith Marzullo, Satoshi Matsuoka, Amin Vahdat, David Wetherall. The following SIGCOMM members were made Distinguished Members of ACM: Elizabeth M Belding, Sung-Ju Lee, Puneet Sharma. The SIGCOMM Education Director Olivier Bonaventure, continues to maintain an education website (http://education.sigcomm.org), where members of the community are able to share education-related resources. The SIGCOMM conference in August 2011 featured a workshop on computer networking education. The workshop combined short presentations of papers, two work sessions on "What are the networking principles" and "How to integrate experiments and simulations in a networking course." The forty attendees discussed the place of networking in the standard CS curriculums to prepare input for ACM/IEEE curricula. Olivier also ran a Shadow PC for the CoNEXT conference as a way to educate the current generation of graduate students in the best practices of technical paper reviewing and program committee operation. 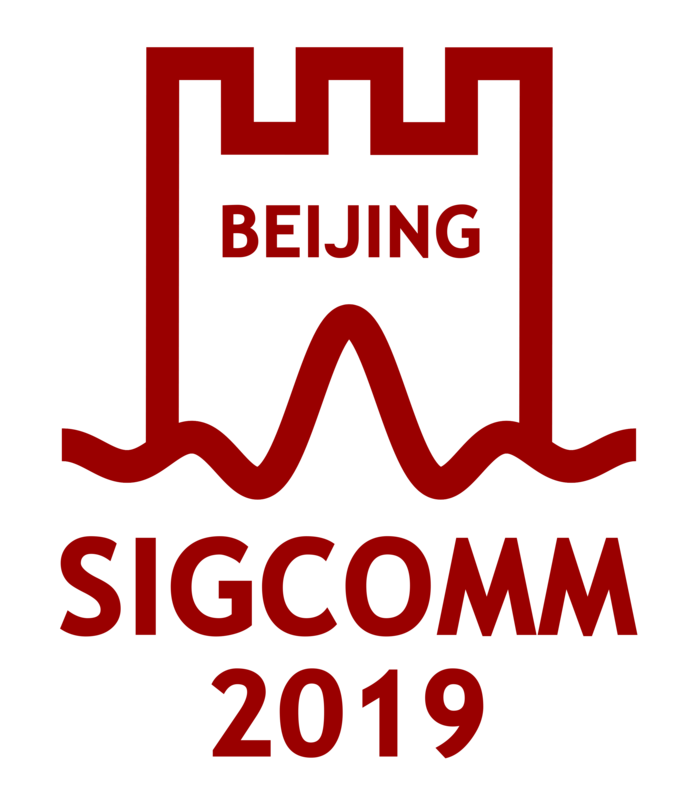 SIGCOMM continues to have a Technical Steering Committee that is responsible for selecting PC chairs, crafting policies related to the PC operation and technical program, and providing a repository of knowledge about the technical aspects of the conference. Administrative and fiscal responsibility for the conference continues to reside with the SIGCOMM EC. The CoNEXT conference is continuing to grow into a high-quality, general networking conference of comparable quality to the SIGCOMM conference. With a smaller audience than SIGCOMM, it can be a little more interactive, and has had successful panel sessions and student workshops. The issue of how networking research can have more impact on industry continues to attract attention. Bruce Davie held a panel "Networking Research: An Industry Perspective" at the SIGCOMM 2011 conference. An entirely new effort by SIGCOMM to engage its members is community-supported projects (http://www.sigcomm.org/content/acm-sigcomm-community-projects). Community-supported projects receive funding from SIGCOMM to create tools, data sets, etc. that can benefit a large fraction of the community. Two projects have been funded in the first round in April 2012. The CRAWDAD project received $20k to continue the development of a wireless network data archive. The University of Pisa received $20k for the development of tools for OS-independent network emulation and high speed I/O. The next round of community-supported projects will be considered for funding in October 2012.